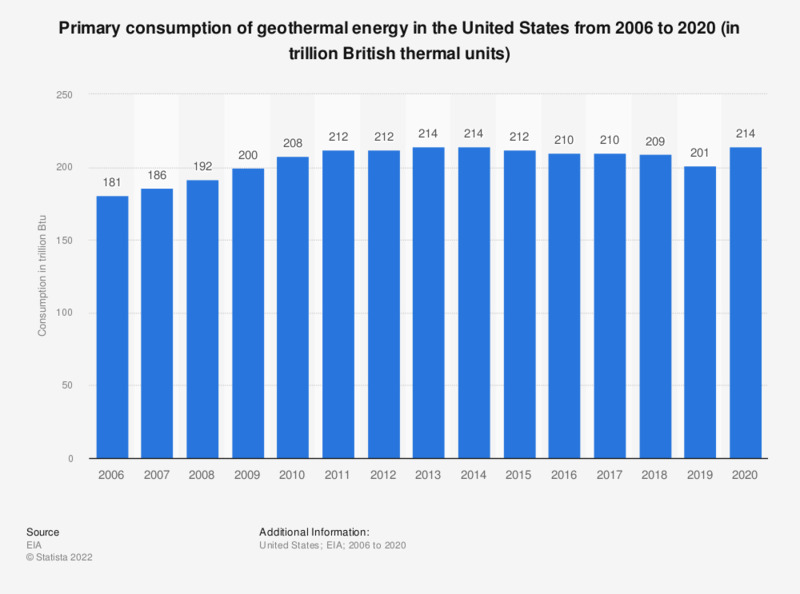 This statistic shows the primary consumption of geothermal energy in the United States from 2006 to 2017. In 2017, 211 trillion British thermal units of renewable energy derived from geothermal sources were consumed here. Included geothermal electricity net generation as well as geothermal heat pump and direct use energy.